Hit the lake with ErikD from GON. He’s a stinkpot guy and wanted to give yak fishing a try so we decided Bear Creek would be a good place to start. Forecast was calling for 15 mph winds (which was correct if you don’t count the near constant 25 mph gusts). 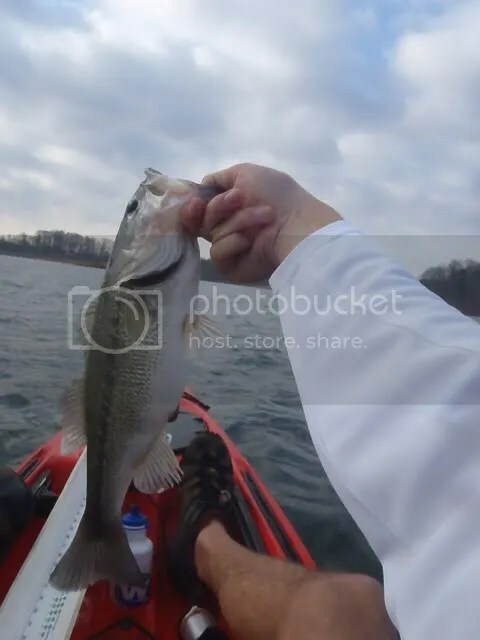 We all know wind is a kayak angler’s worse enemy and I wasn’t excited about having a guy’s first time out be that windy… but we stuck it out and luckily for me Erik is one heck of a fisherman and got us on some good fish! 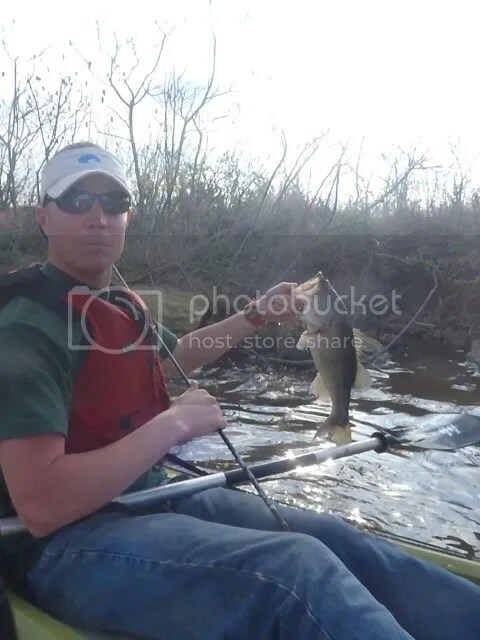 Erik missed a few on a Shad Rap as the sun was coming up and I picked up this solid 17″er trolling a jerkbait. He ended up catching about 6 or 7 more using the same technique. This shallow water fisherman even managed to catch 2 more out over +15 FOW. Despite the tough conditions we managed to get on some fish. Erik kept thanking me for taking him out but the pleasure was all mine. Got to make a new fishing partner and learn a very valuable technique that I was terrible at before. Every day of fishing is a good day of fishing, but I’d call this one great! Nice fish! 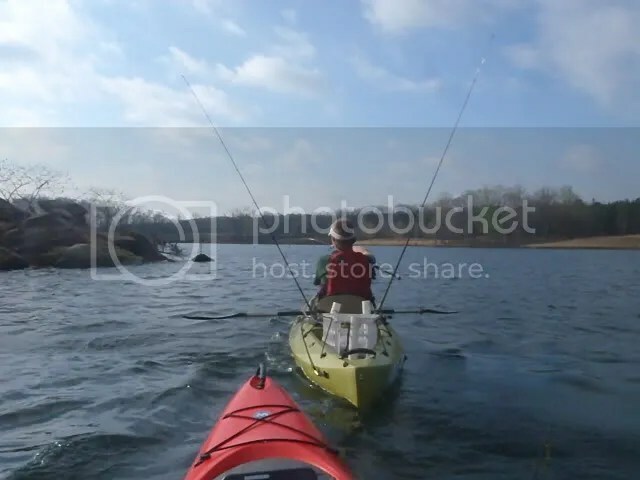 Seems like it would be hard to balance the Kayak and set the hook. And as for setting the hook… not at all! 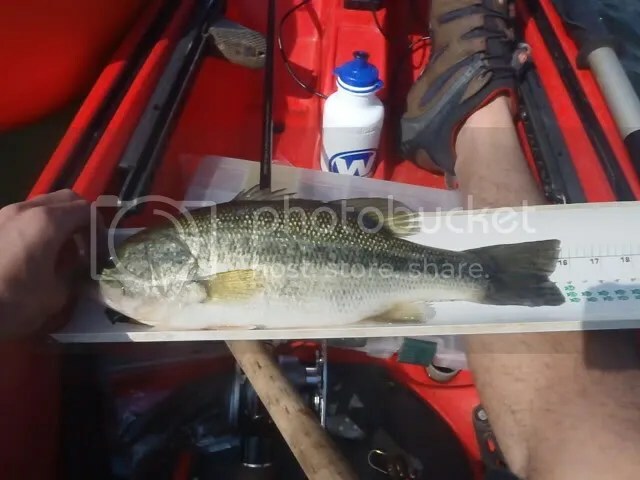 These fishing kayaks are super stable. I stand and fish out of both of mine pretty often! found out about your blog on OBN. Looks like you guys had some pretty good time fishing and you even learned something new. Yeah, the wind…if there are 15mph in the forecast, down here when fishing the bays of the Texas Gulf Coast it’s always better to add another 10mph. Anyway, nice pictures and nice post. Thanks Rick! Nice blog too BTW! Consider yourself added to my blogroll!